Tongue firmly in cheek, Rep. Barney Frank (D-Mass.) on Tuesday afternoon called on reporters to demand to see the birth certificate of new Rep. Charles Djou (R-Hawaii). 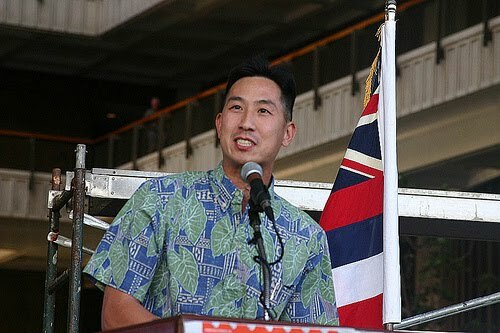 As Djou (pictured here) was being sworn into office, Frank walked the hallway of the Speaker's Lobby off the House floor calling on the media to "do your job" and review Djou's papers. And Barney has the experience with the cheeks!